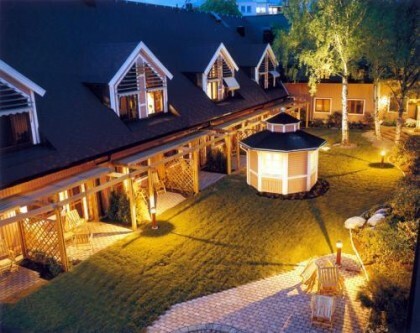 The Hotel Liseberg Heden is a 4 star hotel which is situated very central in Gothenburg city. Within walking distance you have the Swedish Exhibition Centre hosting popular exhibits like the boat show and the online gambling featuring companies like AsianCasinoCentral.com. The main street Avenyn and the Liseberg amusement park are also no more than a 10 to 15 minute walk away from the hotel. There is free high speed wireless internet all through the hotel for you to use which I think is a very nice touch. Not all hotels actually have complimentary wireless internet and certainly not all hotels have it all through the hotel. If you want to be in the middle of everything the Hotel Liseberg Heden is definitely a hotel to consider. Another great thing with staying at the Hotel Liseberg Heden is that you are surrounded by great restaurants which offers foods from all around the world. All hotel rooms have a clean and modern Swedish interior design. All the beds in the hotel rooms are of high quality and are very comftorbale. All the hotel rooms at the Hotel Liseberg Sweden are equipped with the regular hotel room amenities like hairdryer, tv, fully stocked mini-bar, iron, towels, safe and so on. We at Gothenburg Guide can highly recommend the Hotel Liseberg if you are looking for a very central hotel in Gothenburg City that won’t kill your budget. 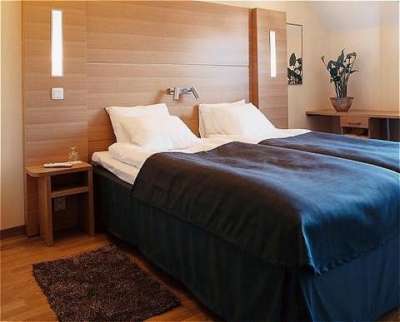 Hotel rooms range between 80 EUR – 130 EUR a night (prices may slightly vary depending on season and of course who you book through).